Accelerated nursing programs also referred to as BSN Programs or second-degree nursing programs are some of the most sought programs in universities today. This page covers both online accelerated BSN programs and campus based accelerated nursing programs They create an avenue for professionals who have non-nursing degrees to join the nursing profession. Most of these programs can be accomplished in 15 months. This page does not cover the fast track nursing qualification for registered nurses who do not have a bachelors degree in nursing. For the registered nurse to a bachelors degree in nursing, visit the RN to BSN online programs. Duke University is ranked among the top ten in Best Nursing Schools by the U.S News and World Report. It offers an intense accelerated program in Nursing for students who have previously graduated and already hold a bachelor’s degree in another area. This program lasts about 16 months. It combines its coursework with several clinics in numerous locations in order to provide its students with practical and hands-on experience. The university is accredited by the Commission on Colleges of the Southern Association of Colleges and Schools, with its nursing program receiving special accreditation from the Commission on Collegiate Nursing Education. Tuition costs $52,895 each year. Roseman university offers an accelerated nursing degree program that is fully accredited by the National League for Nursing Accrediting Commission. Roseman University, known for placing emphasis on the study of health sciences and preparing competent health care professionals, has its accelerated Bachelor of Science in Nursing Program, available on campuses in Henderson, Nevada and South Jordan, Utah. The program lasts 15 months, and coursework is made available online in order to ensure flexibility and convenience. Therefore, it is a hybrid program. As required by most nursing programs, clinics are arranged to ensure that students take a practical approach to learning. Tuition costs $58,550 per year and students are encouraged to apply for financial aid. 28. Medical University of South Carolina. The Medical University of South Carolina is a public research university with its accreditation from the Commission on Colleges of the Southern Association of Colleges and Schools. In addition to that, the university receives special accreditation for its accelerated Bachelor of Science in Nursing degree program from the Commission on Collegiate Nursing Education, as well as the Accreditation Council for Continuing Medical Education. This accelerated program is designed for students that already have a bachelor’s degree in another field. Tuition varies depending on status of residency. In-state students pay $30,000 per year whereas non-residents pay $44,000 per year. This is a private university that offers an accelerated nursing program that is delivered on campus. The program runs for 12 consecutive months and it is accredited by the Commission on Collegiate Nursing Education. The accelerated BSN Program at Quinnipiac University is an intensive and rigorous program that requires full-time enrollment only. This means that students are discouraged from holding any jobs during the course of the program. For admission, one is required to already have a bachelor’s degree. Upon completion of the program, graduates become eligible to sit for the Registered Nurse National Council of Licensure Exam. This allows them to become registered nurses. Tuition costs $40,670 per year and financial aid is available. Regionally accredited by the Middle States Commission on Higher Education, the Gwynedd Mercy University is a Catholic university that offers a flexible accelerated Bachelor of Science in Nursing degree. This program is offered through a flexible format, both online and on campus. The National League for Nursing Accrediting Commission gives its accreditation to this program. The program is ranked at the top of its category by the US News and World Report. It consists of only 46 credit hours of core classes. Tuition costs $20,500 per year. Saint Louis University, based in St. Louis MO, is a university founded on the principles of the Catholic faith. It is regionally accredited by the Higher Learning Commission of the North Central Association of Colleges and Schools. A pioneer in nursing programs, Saint Louis University was the first university in the United States to offer an accelerated program in Nursing. The program is designed for students who already have a Bachelor’s degree in another area of study. It is a 12-month degree program and includes several clinical sessions as part of the course to equip student nurses with real world experience. It costs $37,966 per year. Financial aid is available to students. 24. University of Nebraska Medical Center. The University of Nebraska Medical Center, is a public research university located in Omaha. It has an accelerated Bachelor of Science in Nursing degree program that is available on its campuses at Lincoln, Scottsbluff, and Kearney. This intense program lasts 12 months and includes a convenient and diverse range of clinical learning. This is done purposefully to arm students with real life experience. The University of Nebraska Medical Center is accredited by the Higher Learning Commission of the North Central Association of Colleges and Schools, while its nursing programs are accredited by the Commission on Collegiate Nursing Education. Total tuition for the entire program costs $16,685 for state residents. Non-residents pay a total tuition fee of $50,804. Located in California, the Concordia University Irvine is a private university that is grounded in the Lutheran faith. It is accredited by the Western Association of Schools and Colleges with an accelerated nursing program that is ranked among the top by the U.S News and World Report. The Commission on Collegiate Nursing Education lends accreditation to its nursing programs. The program lasts 15 months and consists of four semesters. Due to its religious roots, theology is included as part of the curriculum. Tuition for the entire program costs $48,000 dollars. However, this does not include costs such as books or transport. 22. University of Massachusetts Boston. It is accredited by the Commission on Institutions of Higher Education of the New England Association of Schools and Colleges. Also, its nursing programs receive programmatic accreditation from the Commission on Collegiate Nursing Education. It’s accelerated nursing program runs for 15 consecutive months and includes convenient online options to compliment on campus learning. Tuition costs $30,000 per year for residents. However, this amount does not cover the cost of books and other such costs. 21. The University of New England. Accredited by the New England Association of Schools and Colleges’ Commission on Institutions of Higher Education, the University of New England is a private research university based in Maine. As part of its nursing college, it offers an accelerated Bachelor of Science in Nursing degree program that is fully accredited by the National League for Nursing Accrediting Commission. This accelerated program is designed for students who already hold a Bachelor’s degree in a different field. It is a 16-month program and consists of 69 credit hours. A heavy emphasis is placed on clinical experience and simulated situations in order to train students on putting their knowledge into practice. Simmons College is a private Boston institution that is accredited by the New England Association of Colleges and Schools. It offers a Master of Science in Nursing Program for family nurse practitioners that take 3 years to complete. It consists of 96 credit hours and only persons holding a bachelor degree are eligible for admission. It costs $1,246 per credit hour. The George Washington University is a public university that is accredited by the Middle States Commission on Higher Education. Its nursing programs are ranked among the top 50 best programs by the US News and World Report. It’s accelerated Bachelor of Science in Nursing program is accredited by the Commission on Collegiate Education. Only persons with a bachelor degree in another field can be admitted. The program runs for 15 months. The Michigan State University is a public university based in Michigan, East Lansing. An accelerated Bachelor of Science degree in Nursing is available at the university at its East Lansing campus and its Detroit campus. This program is for students who already have a bachelor’s degree in a different field and are seeking a second degree. It is accredited by the Commission on Collegiate Nursing Education. It takes 14 months to complete. Tuition costs $14,000 per year for resident students and $35,558 per year for non-residents. Kent State University is a public research university that is based in various locations of Ohio. It is accredited by the Higher Learning Commission of the North Central Association of Colleges and Schools. It offers an accelerated nursing program at the bachelor of science level that is accredited by the Accreditation Commission for Education in Nursing. This program is four or five semesters long and is suited for students seeking a second degree. With a rigorous and intense curriculum, students gain the communication skills, as well as other skills, that are necessary for a career in nursing. Tuition costs $40,000 for the entire 4 semesters for in-state students, and $72,000 for out of state students. The Duke University School of Nursing offers accelerated Bachelor of Science degree in nursing, a second-degree option for individuals with other degrees who now wish to join the field of nursing as professionals. Admitted students who’ve already fulfilled the pre-requisite requirements proceed to study the nursing courses which take 16 months to complete. The program entails all the components of a traditional BSN program and focuses on modern day health care needs and health care environments. Students will cover courses such as Nursing Care of the Childbearing Family, Community and Public Health Nursing, and Wellness and Health Promotion across the Lifespan. They will also have practical sessions of up to 800 hours in clinical settings. The School of Nursing was in 2016 recognized as a “Best Nursing School for Men in Nursing” by the American Assembly for Men in Nursing, whereas the ABSN program is accredited by the Commission on Collegiate Nursing Education (CCNE). Felician College is a Catholic based college located in Rutherford, New Jersey. It offers an accredited accelerated Bachelor of Science in Nursing degree program that aims to develop “the competencies in nursing practice,” according to their website. The college is accredited by the Middle States Association of Colleges and Schools, and its nursing programs are accredited by the Commission on Collegiate Nursing Education. This demanding nursing program requires full attendance and is for students who already have a bachelor’s or master’s degree in a career other than nursing, and are looking for a second degree. It is a 64 credit program that takes 19 months. Once the degree is attained, graduates can apply to the state board of nursing for a license. Lewis University is a university, located in Romeoville, Illinois, that has its roots in the Christian Catholic faith. It offers an accelerated nursing program for students seeking a second degree. Students benefit from individual attention from the world-class faculty because of the small class sizes and clinical groups. This program includes online theory, making it flexible. This allows students to work part-time, even as they pursue their degree. Lewis University is accredited by the Higher Learning Commission of the North Central Association of Colleges and Schools and receives programmatic accreditation for its nursing programs from the Commission on Collegiate Nursing Education. The program is 64 credit hours long and tuition costs $600 per credit hour for both in-state and out of state residents. All students are encouraged to explore all financial aid options. SUNY Downstate Medical Center is a leading institution where one can enroll for an accelerated bachelor’s degree in nursing. Enrollment into the program is done once a year, in Summer. The program is meant for graduates of other fields of study besides nursing and prepares them to be competent professional nurses. Successful applicants may transfer in at least 65 credits of pre-requisite courses then go on to complete the nursing courses required which are the equivalent of 60 credits. By the end of the program, graduates will be eligible candidates for the NCLEX-RN exam, after which they can begin to practice as registered nurses. The curriculum is taught over a 15-month period and focuses on Professional Nursing Practice in Health Promotion, Professional Nursing Development, Introduction to Pharmacology, Drug Calculation, and Prep, professional nursing practice with psychiatric clients among other areas. The nursing program is accredited by the Commission on Collegiate Nursing Education (CCNE). LaSalle University is accredited by the Middle States Association of Colleges and Schools. It is a Catholic university located in Philadelphia. It’s 13-month accelerated Bachelor of Science in Nursing program is accredited by the Commission on Collegiate Nursing Education. It is designed to suit students with a primary degree who are looking to change careers. It is a flexible hybrid program that allows students to fulfill family and work obligations even as they study. It includes the use of threaded discussion, online chat rooms and live virtual classes. Tuition for the program costs $23,000 for both resident and non-resident students. North Eastern University is a private university with an acclaimed nursing program that combines an online learning experience with several laboratory sessions and clinical rotations in order to ensure students learn to apply their knowledge in real-world situations and receive the hands-on skills required for a successful nursing career. It is based in Charlotte, NC, and Seattle, WA and receives its regional accreditation from the New England Association of Schools and Colleges. Accredited by the Commission on Collegiate Nursing Education, its accelerated Bachelor of Science in Nursing degree is for students who already hold a bachelor’s degree or higher. The program utilizes online classes and learning modules to make it as convenient and flexible as possible. However, laboratory and clinical work are done on location in order for students to gain experience. It is a 67 credit hour program that runs for 16 consecutive months. It costs $950 per credit hour. Financial aid is also available to students. The Hunter-Bellevue School of Nursing gives you the opportunity to transition to a nursing career through the accelerated bachelor’s degree in nursing. The program comprises of 51 units which are offered over a period of 18 months. The study mode for this program is full-time, and upon completion, graduates will be well prepared to take the NCLEX-RN licensing exam. There are a variety of courses which are covered in the program, some of which include Nursing Care of Women and Childbearing Families, Adult Acute Illness, Nursing Research and Theory, Nursing Leadership and Ethics and Pathophysiology and Nursing Care. Prospective students must have successfully completed science and liberal arts prerequisite courses and attained a minimum GPA of 3.2 on all undergraduate coursework. The school of nursing is accredited by the Commission of Collegiate Nursing Education (CCNE). The Valdosta State University is accredited by the Commission on Colleges of the Southern Association of Colleges and Schools. It has an accelerated nursing program that is accredited by the Commission on Collegiate Nursing Education. This program is designed for students seeking a second nursing degree. It is a 15-month program that costs $14,324. However, that applies only for in-state students. For out of state students, the cost is $40,116. Financial aid is available to help make the degree program more affordable. Mid America Nazarene University is a faith-based university located in Olathe, Kansas that encourages students to find spiritual growth and fulfillment, alongside their academic goals. It is accredited by the Higher Learning Commission of the North Central Association Colleges and Schools. Its nursing programs are accredited by the Commission on Collegiate Nursing Education. It is a 64 credit hour program that is 12 months long and costs $532 per credit hour. After completing this degree program, students become qualified to be registered as nurses. 10. University of Wisconsin Oshkosh. The University of Wisconsin Oshkosh is a public university located in Oshkosh, Wisconsin. It offers an accelerated Bachelor of Science in Nursing degree program that is accredited by the Commission on Collegiate Nursing Education. It is a year-long program that includes online theory work and clinical rotations in clinics based around each students community. However, despite it being online, it still requires a full-time commitment and part-time employment is not advised. The total program costs $41,500 and is the same for out of state students as well. MCPHS University is one of the institutions offering accelerated bachelor’s degree in nursing. The program is 16 months long and is intended for persons who’ve already attained their baccalaureate degrees in other fields. Students learn in classrooms and well equipped state-of-the-art laboratories. Part of the curriculum includes clinical sessions where students will have the opportunity to practice at selected community agencies and hospitals. Besides the technical skills and knowledge imparted to students, they also develop compassion and critical thinking skills that will help them succeed in the modern day healthcare system. The curriculum touches on areas such as Essential Concepts of Nursing, Nursing Informatics and Healthcare Technologies and Capstone Leadership Project. Students are required to complete a total of 64 semester hours of nursing major before graduating. MCPHS University is accredited by the New England Association of Schools and Colleges (NEASC), Inc.
Louisiana College is a Christian college based in Central Louisiana. It is accredited by the Commission on Colleges of the Southern Association of Colleges and Schools. It’s accelerated nursing program is 4 semesters long and is specifically for students with an undergraduate degree in another field. It equips students with a perfect foundation in clinical excellence. It sets up students to become licensed nurses. It is 59 credits long and costs $425 per credit hour. Allen College gives you the opportunity to enter the nursing field through the accelerated bachelor degree in nursing. The degree is designed for professionals who’d like to make a career switch to nursing, and individuals who’ve previously been trained in nursing and wish to complete their baccalaureate degree. In order to graduate, the student must complete at least 124 semester hours, 58 of which cover nursing coursework. The rest cover general education courses in natural sciences, mathematics, humanities, social sciences and general electives. The duration of the program is 4 semesters. Students are equipped with strong theoretical and clinical skills. Some of the courses taught include Pharmacology, Health Assessment, Professional Issues & Trends, Mental Health Nursing and Adult Nursing. Applicants for the program are expected to have completed at least 25 semester hours from regionally accredited institutions and attained a 2.8 GPA on all college coursework. Allen College is accredited by the Higher Learning Commission (HLC). Based in Illinois, this Christian university offers an accelerated nursing program that receives full accreditation from the Commission on Collegiate Nursing Education. It is a full-time course, but it is perfectly blended with online theory modules and practical, hands-on clinical rotations. It consists of 63 core hours and 6 hours of corequisites. It is a 16 month program and it costs $53,725. Located in Los Angeles, California, the Azusa Pacific University is accredited by the Western Association of Schools and Colleges. It runs a 15 month accelerated Bachelor of Science in Nursing degree program that is accredited by the Commission on Collegiate Nursing Education. Its program is designed for registered nurses who are seeking to complete their bachelor’s degree. It costs $22,400 for students who are residents as well as for non-residents. Financial aid is available and students are encouraged to apply. The John Hopkins University is a private university that is based in Baltimore, Maryland. The John Hopkins University offers an accelerated Bachelor of Science in. Nursing program for those that already have a bachelor’s degree in a different field. This 13-month program immerses students in nursing at an accelerated pace. It is a full-time program, and working during the program is not advised. The Middle States Commission on Higher Education has accredited this university. Its nursing programs have been accredited by the Commission on Collegiate Nursing Education. Tuition costs $74,000 per year. Students are encouraged to take advantage of the available financial aid options. At the end of the program, students become eligible to become licensed nurses. Samuel Merritt University is one of the universities offering an Accelerated Bachelor of Science in nursing degree (ABSN). The program is developed for individuals who have degrees in non-nursing fields. It takes a total of 12 months of intensive learning to complete. The curriculum integrates theory and clinical education, giving the student the best learning outcome possible. It comprises of 52 units which include Pediatric and Maternity Nursing, Introduction to Professional Nursing and Health Aging among others. Away from the curriculum, students develop strong psychomotor and cognitive learning skills which will enable them excel in their studies and professions. By the end of the program, the student will be able to appreciate the difference in opinions and values from colleagues and patients in order to create a harmonious work environment. Applicants are required to be degree holders with at least a 3.0 minimum GPA in the last 60 semester hours. The institution is accredited by the Western Association of Schools and Colleges (WASC). Thomas Jefferson University is one of the leading centers that offer two options for the Bachelor of Science in nursing course, either the Full-Time Accelerated Coursework Track (FACT) – 1 Year or the Full-Time Accelerated Coursework Track (FACT) – 2 Year. These programs are designed for students with a bachelor’s degree in any other field other than nursing. Applicants should have a baccalaureate degree and specific college credits in order to start the program. (FACT) – 1 Year takes one year of full-time study while FACT – 2 takes two years. At the end of the study sessions, the students may earn 55 credits for bachelors and 9 credits for masters. The curriculum involves theory content and practicum experience to allow time to integrate the theoretical concepts into professional practice. At the end of the programs, students take the national licensure examination and if they pass, they have an option of taking the 27 MSN credits in selected MSN course tracks within 15 months for full-timers and 5 years for part-timers. Thomas Jefferson University is fully accredited by the Middle States Commission on Higher Education while the nursing programs are accredited by the Commission on Collegiate Nursing Education (CCNE). The Accelerated BSN Second Degree program is for those individuals with different bachelor’s degree from any recognized institution. It is suitable for those who would like to work professionally as nurses before pursuing an advanced practice degree. Penn’s second-degree curriculum is interesting as it engages students using state of the art simulations, comprehensive mentorship, community engagement options as well as clinical practice. Penn also allows students to begin graduate-level coursework even before finishing their BSN through the Sub matriculation program. Second-degree scholars are also eligible to apply to the Hillman Scholars Program in Nursing Innovation BSN-PhD. Once students are through with the program, they can sit for the NCLEX exam to become professional licensed and Registered nurses. Penn Nursing is fully accredited by the Commission on Collegiate Nursing Education (CCNE). The Accelerated track is a program for students who have earned a previous baccalaureate degree. The program in Texas A&M University-Corpus Christi commences in the fall semester and takes four semesters. The curriculum consists of core courses and nursing support courses including Anatomy and Physiology I and II, Statistics for Life, General Chemistry I and Principles of Microbiology. Texas A&M University-Corpus Christi is accredited by the Southern Association of Colleges and School Commissions on Colleges to award baccalaureate, masters and doctoral degrees. The undergraduate and graduate nursing courses are accredited by the Commission on Collegiate Nursing Education. California State University, Fullerton offers an accelerated bachelor’s degree in nursing which is suitable for individuals who already have undergraduate degrees in other disciplines but wish to study for a BSN. The program is taught over a period of 2 years, and applicants with a degree from a regionally accredited college or university will be exempt from General Education courses. The curriculum taught focuses on areas such as Cultural Diversity in Health & Illness, Community Health Nursing, Leadership in Professional Nursing, and Evidence Based Practice Nursing. Applicants must earn a B- or higher in each science prerequisite course, and c in non-science prerequisite courses. Application to the accelerated BSN program is open from 1st October to 15th January of each year. Candidates who have registered Nursing education may seek credit transfer for courses that are equivalent to the nursing courses offered at the school. The program is accredited by the Commission on Collegiate Nursing Education (CCNE). Sinclair School of Nursing offers an intense 15 month, on-campus program for students holding any degree or higher from a recognized institution. The program, The Accelerated BSN focuses on developing knowledge and skills required by professional nurses. The institution offers a state of art Simulation Center and students acquire needed experience at the academic health sciences center, University of Missouri Health Care. Once successfully completed the program, graduates are well equipped to enter into the nursing practice such as traditional acute care hospitals, mental health facilities, outpatient care centers, community health agencies among other related fields. The undergraduate program is approved by the Missouri State Board of Nursing and fully accredited by the Commission on Collegiate Nursing Education. The accelerated Bachelor’s of Science in Nursing Program is a program meant for non-RN students holding a bachelor’s degree in other fields other than nursing. Students are admitted to this program every year and the study period begins in June. The program takes 15 months where students complete approximately 74 quarter units of study in both didactic and clinical coursework. Once the students complete the program successfully, they are awarded the degree of Bachelor of Science in Nursing and are eligible to sit for the NCLEX examination in order to get the RN license. California State University, Los Angeles is accredited by the Western Association of Schools and Colleges while the School of Nursing is fully accredited by the Commission on Collegiate Nursing Education and meets the requirements of California Board of Nursing. Accelerated BSN Programs are offered at top nursing schools, colleges, and universities across the country. The general requirements for students joining the program are a bachelor’s degree in any field with a minimum GPA of 3.0 and completion of nursing prerequisite courses such as anatomy, chemistry, and biology. From the year 2003 May, The University of Wisconsin System has offered the online accelerated BSN programs which enable a person who already has a bachelor degree to still earn a BSN in just a span of 12 months. The curriculum of this program is divided into two where one runs from May-May and the other October-October with the students earning credits every other week. Due to the rigorous manner, all students commit themselves to leave work during the entire time when the curriculum is being covered. They are however able to engage in numerous online discussions. They also get to participate in online class session and get to access the laboratory online too. For one to qualify to enroll for the program, he or she needs to have a degree, have a minimum GPA of at least 2.75 and be a certified Nurse assistant. The University of Wisconsin System is an accredited institution having received its accreditation from the Higher Learning Commission of NCA Colleges and Schools. The university of Texas at Arlington offers accelerated online Bachelor of Nursing to individuals who want to explore the nursing field and earn a baccalaureate. • Minimum of 2.75 GPA in the two GPAs calculated in the selection process. • Completed 70 credit hours (22 courses) before commencing the program. CON and other external scholarships are available to the accelerated online BSN students. Common deadlines are April and November 1st. Employees from partner hospitals offering clinical sites during the admission semester are highly preferred. Accelerated online BSN program is accredited by the Commission on Collegiate Nursing Education (CCNE) and approved to meet the ethical standards of working nurses. Marian University Indianapolis offers Online BSN accelerated program that gives those with no prior nursing degree an opportunity to start a career in nursing as quickly as possible. The online based program involves rigorous but flexible nursing courses which allow a student to take theory coursework at their own convenient time. This is followed by hands on learning where students participate in patient care stimulation as well as practice some of the core nursing skills. The six-month program ends with Clinical rotations for up to 750 hours in the real world to give student real life experience and equip them with diverse and holistic patient care skills. After completing the Online BSN accelerated program in Marian University you will be ready to take and pass the National Council Licensure Exam (NCLEX) and obtain your registered nurse licensure. Looking for a university with Christian values and believes in clinical excellence? Join Marian University Indianapolis today and start your nursing career! Utica College’s online Accelerated BSN Programs enables students to graduate within 16 months with a Bachelor of Science, majoring in nursing. To ensure that they are comprehensive, the accelerated programs integrate online courses with practical lab simulations. The coursework spreads over four semesters that comprise 16 months of full-time learning, a period that is shorter than in other traditional programs. The graduates also enjoy the benefit of flexibility since they are in control of their coursework schedule. Utica College also offers a second degree accelerated nursing program for those who majored in different fields. This program’s curriculum covers nursing theory, simulation, and clinical rotations. The Utica College nursing program has the full accreditation by the Commission on Collegiate Nursing Education (CCNE) while the College is fully accredited by the Commission on Higher Education of the Middle States Association of Colleges and Schools. The accelerated BSN program is for those individuals who want to acquire a bachelor’s degree in nursing without having to go through another four-year program, as long as they are holders of a bachelor’s degree in any discipline. The course takes about 11 to 18 months of full-term coursework without breaks in between sessions. These students take only nursing-specific courses that those who major in nursing need to complete. • Prerequisite science course completed during the student’s prior degree program. Applicants may also need to submit standardized test scores such as the GRE. Every school has its specific requirements before admitting students, and so it will depend on the specific school that the individual may want to join. The students are not required to take liberal arts content included in the regular four-year degree program. Application procedure for this course entails submitting application and fee, include you current résumé and university transcripts, you may also need to write a personal statement and to complete a background check. Most students who choose to enroll in this program are said to be older, more motivated, and aggressive in gaining valuable clinical experiences and have higher academic standards than the conventional nursing students. This program offers individuals a chance to get a master’s degree in nursing without having first to attain a BSN. Students should do a lot of research when looking for suitable schools that offer the program as other schools may require that they complete a BSN first before embarking on a specialized MSN program. To apply to this program, students should have a bachelor’s degree in any discipline, official transcripts, a GPA of 3.0 and above, three completed recommendation forms and letters of reference, GRE scores and an updated résumé. The course is completed in four semesters which include one semester of clinical internship of working eight hours, five days a week for three months. Areas of specialization in the MSN program include nurse case managers, nurse practitioners, nurse anesthetist, clinical nursing specialist and certified nurse midwife, public health nurse, informatics, clinical research coordinator, nurse administrator, dialysis nurse and legal nurse consultants. • Leadership and nursing practice. After graduation, students will be qualified to sit for the nursing examination and be licensed as a registered nurse. Individuals who have attained the BSN degree can as well accelerate to a Ph.D. without going through the MSN. This program will enable you to earn both an MSN and a Ph.D. at the same time. Unlike traditional PhDs, this degree provides you with advanced clinical nursing skills that you can apply both to patients and other nursing students as a nurse educator. The program emphasizes advanced nursing competencies for complex nursing practices. Students also learn about how to use research to improve the quality of clinical and patient outcomes in a more affordable way. These programs are widely supported as they produce a highly motivated, knowledgeable, and experienced workforce preferred by most employers. They are also very likely to pass the NCLEX-RN licensure exam on their very first attempt. The knowledge, experience, and skills obtained from their previous courses and varied backgrounds are essential in stabilizing the nursing industries. Online programs are available where students can enroll and continue working as they learn. However, they will need to do their clinical hours at a local health center or a hospital. All students whether online learners or regular learners must complete the same amount of clinical hours required just like the regular nursing students. Apart from lecture notes and reading, online programs offer lab work in a form of interactive simulations of situations you are likely to encounter as an operating nurse. Online assessments for theory classes are available online but lab work and clinical experiences require that the students do them in person. This online program allows students to have independent study time and to do their class work any time of the day but they will have to adhere to strict due dates for assignments and move through the program at the same time. If your GPA is lower than the minimum required GPA, you could retake some of the non-nursing courses that are required to improve your grade or the prerequisite courses that you could be missing. The courses are available at local community colleges or in some colleges. Check if the College you are interested in has this arrangement. If you choose to take them at the community college, ensure that the credits are transferable. If a program admits you while you are still taking the prerequisite courses, it is important to inform your advisor so that they can speed up the process. You could also retake the courses one at a time in the evenings, or take several courses at once in a part time program. For a list of more colleges offering accelerated nursing programs, you can download a PDF version provided by the American Association of Colleges of Nursing. 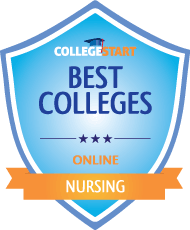 This list of nursing programs is arranged per state making it easy to identify the colleges within your state that offer the second-degree nursing programs.